Based inside of an Ybor City district warehouse, USF Grad Sean Verdecia has spent the years following Hurricane Katrina designing modular popup style homes that can be quickly deployed for a variety of uses. 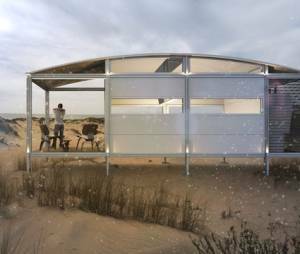 With the current devastation caused by Hurricane Harvey, many are seeking solutions for those who have been displaced by natural disasters, the units are designed to be cheaper than current temporary homes offered by FEMA while also being stronger, nicer and easier to deploy. Project AbleNook hopes to have their housing units ready for mass purchase by the Spring of 2018. Read more on Sean Verdecia and Project AbleNook by clicking here.